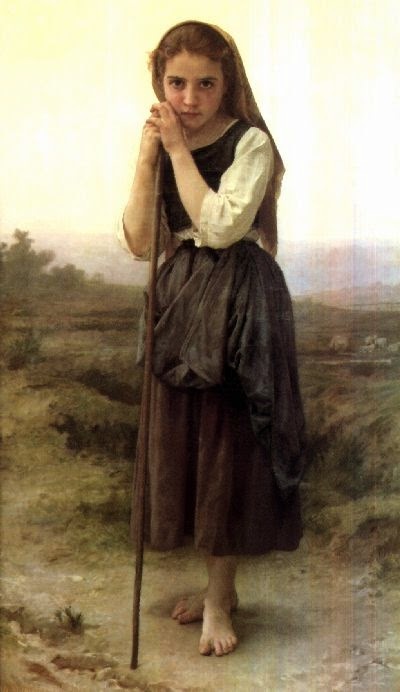 Saint Germaine was raised by a step-mother who made her sleep in the barn and fed her only scraps of food. Germaine didn’t go to school, but watched the family’s flock of sheep instead. Despite all this, Germaine had great faith in God. She had a rosary made out of knotted string and she would go to Mass every day. One day, Germaine was carrying something in her apron when her stepmother raged at her, certain Germaine had stolen some bread. Instead, beautiful flowers fell onto the floor, though it was not yet spring and not the time for flowers. Germaine handed one of the blossoms to her stepmother and said, “Please accept this flower, Mother. God sends it to you in sign of His forgiveness." After that, her stepmother began to treat her more kindly. Today, make colorful flowers out of tissue paper and green chenille stems (instructions hereat Spoonful.com). Can you think of somebody to give them to? Maybe you have a neighbor who can be difficult to get along with. Or maybe there is a nursing home in your area where there are many people who need some cheering up. Don’t forget to pray for whomever you give your flowers.